“The main objective of the ICTY is not reconciliation” (Lejla). “The charge is to bring alleged perpetrators of serious crimes to justice in fair trials” (Tolbert). “A court is a court” (Vukušić). Having acknowledged the above, has this court helped reconciliation or have its trials paved the ground to a reconciliation process in FY? “Obviously no international criminal tribunal can bring reconciliation to an entire region after years of a fratricide and violent war” (Irene). “A limited number of criminal trials, by themselves, cannot be expected to result in reconciliation in a deeply conflicted region” (Tolbert). “It would be too much to expect from the ICTY that it can also deliver reconciliation” (Moratti). Nevertheless, “certainly these proceedings can help to establish a record that addresses the past” (Tolbert) and “as the ICTY has tried so many high-ranking military and political individuals it has definitely helped pave the way for reconciliation” (Lejla). In our poll, so far, 57% said the ICTY did not contribute to a reconciliation process in FY, while 40% said it did (3% undecided). Some, however, have ruled out in the debate any possibility of assessing the work of the ICTY in terms of reconciliation in South East Europe, albeit acknowledging the role of a criminal court in a transitional justice process. Part of the confusion may have derived from the way the ICTY has been marketed: “Of course, the lawyers, judges, and others associated with the ICTY have done their best and understand the limited expectations that should be had of the contribution of a system of criminal trials. However, the ICTY has not been marketed in this way to the people of the former Yugoslavia” (Donovan). It is the concept of reconciliation, also, that is problematic. Clark defines reconciliation in the position paper opening the debate, Hodžić describes it by denying such a process has so far appeared in FY. Some in the debate have referred to it as a “shared recollection of the past” (Eugenio). Others stress the existing dynamics between individual and collective processes. While criminal justice deals with individuals, and reconciliation is also widely regarded as a merely individual matter, both categories spill out to the collective level and may help bridging the gap between different narratives of the past which run parallel. “The course of reconciliation may run from the individual to the collective level. The major difference is that justice produces some form of victory, reconciliation produces an account of events, or a sequence of existential truths” (Miki). “An account of events” is a feature that brings us closer to an idea of reconciliation as reckoning with the past (Jaspers, Arendt). Many in the debate seem to agree that the role of a criminal court should have been complementary to other approaches, enabling a wider participation of the local societies and namely the victims to the process. Complementary efforts, however, did not show up in the aftermath of the wars in the Balkans. Why all this did not happen in FY and the ICTY was left alone in the task? 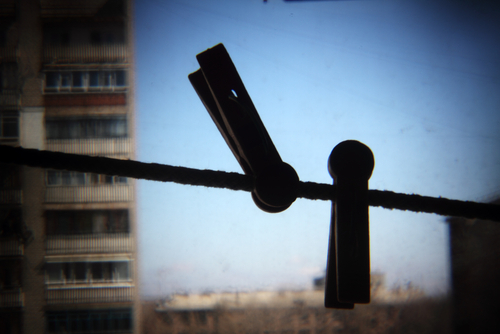 Some argue that “for a long time, many persons in Bosnia were under the impression that the ICTY and truth commissions were in competition with each other”, and that “the ICTY presented itself as the only organisation in charge of dealing with the past, de facto frustrating other efforts which could have complemented and enhanced its work” (Moratti). But, which should the relation be between criminal justice and other tools for dealing with the past, if any? A concentration camp survivor expresses a clear point of view against extra judicial processes of confronting the past: “If we had a truth commission 15 years ago which had even discussed the possibility of amnesty, I strongly believe it would have undermined the work of the Tribunal and Milošević, Mladić and Karadžić would probably never end up in the Hague and the nature of the war would be even more contested than it is today. That is our strongest weapon - facts not truth. In our case (FY) it seems we are not ready yet for a Truth and Reconciliation Commission and we could not afford to take any risks in the immediate aftermath of the conflict” (Pervanić). Another war crime survivor in BiH speaks about the importance of having the crime and its perpetrators acknowledged in court, albeit a local one (Zanotti). But was the ICTY truly “territorial” in its approach to dealing with the past in FY? Twenty years after its creation, if its findings have paved the way to reconciliation, when should this process start? Could such a process be triggered by the ICTY itself, at the end of its mandate? Should civil society initiatives be granted more space and adequate funding? How can the judicial truth become historical truth? Some participants to the debate have already started posting proposals, i.e. strengthen regional outreach bodies (Lejla) or support to conflict elaboration processes through adequate public spaces (Seka). Do continue posting! There is up to 5 March before the publication of the final arguments by Clark and Hodžić. 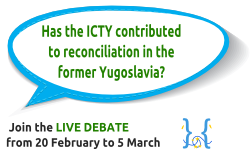 Osservatorio will then present the debate's results to the ICTY. In the meantime, thank you all for sharing so far your opinions, experiences, recollections.